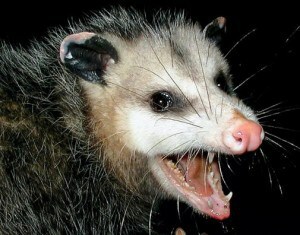 Editor’s Note: Snickers the Possum is now 0-2 on the year. We are starting to think that employing a living, anthropomorphic possum to pick the winner of professional football games might not have been the best idea. We regret to inform you, the reader, that if Snickers does not improve his performance in the next few weeks we will be forced to throw him into a wood chipper. Take it away Snickers, no pressure. Thanks for that, I guess. If I had known this job would be so high pressure I would have stayed in my garbage can and not accepted the website’s offer of three moldy bananas per article. No delicious fruit is worth being thrown into a wood chipper, but I digress. Hey it’s me, Snickers the Possum! If there are two things in this world that I know, it’s that the dead squirrel I found in the middle of Lake Street was absolutely delicious and I’m an excellent football analyst! You heard the editor. Ol’ Snickers has not done too well going into the season, as I’ve gotten every single one of my picks wrong so far, except my pick of Dallas covering the spread last week. It’s time I begin trusting my analysis and not letting my possum heart cloud my judgement. My heart is infested with heart worms anyways, so maybe trusting my brain would be better (which is also infested with parasites of a harmful nature). I’m hoping the Eagles will not come out as flat against the Jets this Sunday as they did against the Cowboys, but with the injury news on the DeMarco Murray front and Sam Bradford’s confidence being shaken to the core, it might be another rocky game for our boys in green. This reminds me of the time the Johnsons (the owners of the trash can I currently live in) tried to keep me off of their property by putting heavy cinder blocks on top of my home so I couldn’t get in! Faced with horrifying adversity, do you know what I did? I started to write threatening, anonymous letters to the Johnsons and mailed them every week. Just real nasty stuff, about how I would slit their throats and make their children watch as they writhed about on the ground until their eyes clouded over. I went to a real dark place whenever I wrote them and I said HORRIFYING things in them that I never thought would be possible of me. But you know what? They were so freaked out by the letters and so preoccupied with calling the police after every single one came that they eventually forgot to put the cinder blocks of the trash cans! So I was able to get back into my home after just 6 short months of threatening letters each day. It was a win win for all of us! Sadly, I don’t see the Eagles pulling this one out. The Jets defense is stout and horrifying, like a rottweiler off it’s chain tearing into a litter of raccoons, so I believe they’ll feast on a team that finds itself limping into its week three matchup. No Kiko Alonso, no Mychal Kendricks, and potentially no DeMarco Murray? No way Sam Bradford is able to carry this team on his long-sleeved shoulders for the victory. Prediction: 21 – 10, NY Jets win.